Implementing this flow will allow you to easily create relationships between your customers and their CSM. Using SFDC Match Categories, you're able to target a personalized introductory challenge to active clients of each CSM. If CSMs change, a new challenge will appear, introducing them to their new contact. This flow can also be used for Account Managers, Sales Reps, or Consultants. We will take advantage of existing functionality that is a part of our Salesforce integration for this flow. 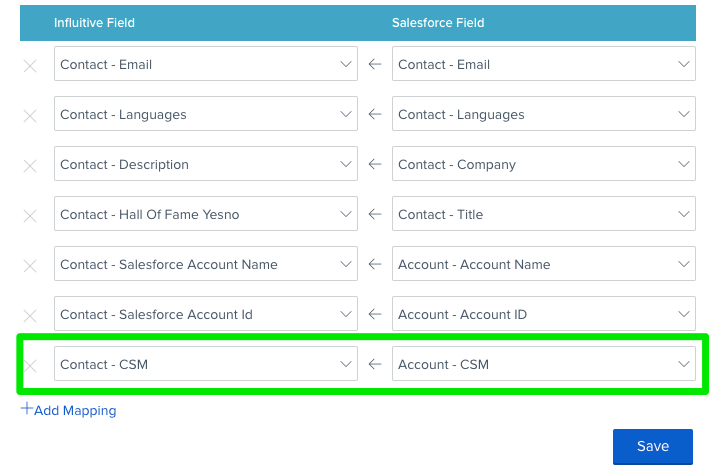 Using the Automatic Customer Data Import, we can map fields on a Contact or Account object in Salesforce to a match category in your AdvocateHub. We can then use the value of the match category to automatically unlock challenges for your Advocates through our targeting functionality. 3. Now we need to map these fields. Go to your Salesforce integration in your AdvocateHub and under the Settings tab, expand the Automatic Customer Data Import section. 7. 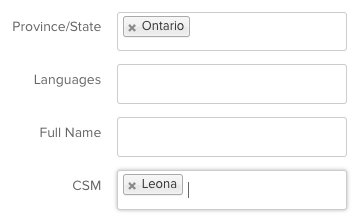 Now your challenge will be automatically unlocked for Advocates who have 'Leona' as their CSM in this example!